I have been thinking about illusionists, much in the same way that I redesigned the Assassin for my home ASE game, I think the illusionist is worth a few changes. I've made them a bit of an odd hybrid between thief and magic user, though the illusionist as written is a lot closer to a wizard specifically trained in large scale combat (illusions work really well on masses of low level troops) and intrigue. Something like a vizer to kings, rather than a dungeoneer (given their lack of utility spells related to physical challenges). I hope that my changes bring the class back a bit closer to its concept of a nimble trickster. Illusionists have a pretty cool spell list. It gets absurdly powerful at high levels (though arguably no more so than Magic User) and starts out roughly the same, but with wildly impossible statistic requirements (15 + Intelligence, 16 + Dexterity and no stats below 6 except Constitution) it seems appropriate to make Illusionists something special. The idea of illusionists as written is insufficiently novel as well. Sure there's a new spell list that is themed around confusion and phantasm but little else is provided in the Player's Handbook to define what exactly an illusionist is compared to a magic-user, except rather they are rather nimble. 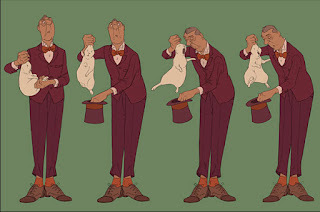 To my mind Illusionists are something more than that, they are self-taught magical auto-didacts from a different tradition than academic thaumaturges. In my ASE game I've always envisioned them as members of traveling circuses, lone wandering wonder workers, or the hedge wizards employed by rural bandits. Magically talented people who have gotten by on a scrap or two of stolen knowledge and sheer ability to warp reality rather than careful study. Therefore I've allowed the following changes for illusionists. They can wear light armor and use a wider variety of weapons than magic users. Illusionists may wear armor as heavy as studded leather or ring mail (AC 6) and use light hand weapons (1D6) and light crossbows. They are still burdened by a poor chance to hit, but the armor bonuses (combined with their absurd dexterity) means an illusionist is likely to have almost as must combat survivability as a thief (though the 1D4 vs. 1D6 HP will ultimately make them far more fragile). Additionally Illusionist gain the ability to pick pockets as of thief of their level. 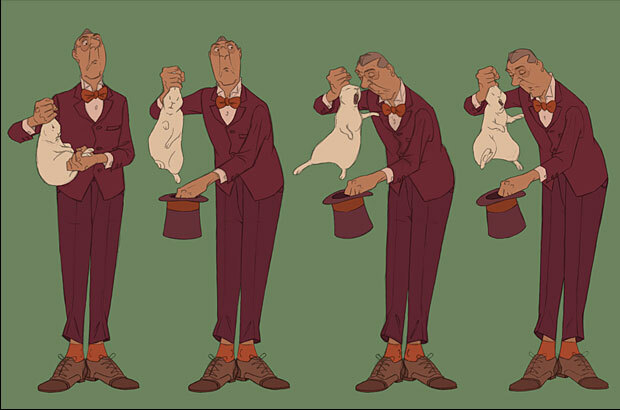 I justify this as their ability to perform mundane prestidigitation - card tricks, slight of hand and rabbit/hat pulling. Plus no one ever uses "pick pockets" and maybe this will encourage it to be viewed in a more interesting way. Illusionists never gain the other thieves' skills and since illusionist magic lacks the general utility of magic-user spells like read magic, knock, spider climb, levitate or fly (they can emulate stealth skills with invisibility) they will always make a poor substitute for a thief compared to a magic-user. Likewise Illusionist spells are rather limited to the sorts of creatures they can annihilate. Even if color spray is an amazing offensive spell at low levels (much like sleep) it is even more limited than its magic-user equivalent, requiring vision and a mind on the part of the target. Illusions all require some sentience, and even shadow monsters is useless against a hoard of zombies, while phantasmal killer will do nothing to a golem, roper (or other vegetable monster), ghost or living statute. Beyond the ability to pick pockets and wear light armor, an illusionist develops the ability to back stab at 3rd level. This ability does no increase like that of thief or assassin, staying at x2 damage and +4 hit regardless of level, but presumably can be terribly dangerous when coupled with an illusionist's spells of concealment. I think that the additional thief/trickster flavored skills above will not detract from the illusionist, and despite initial appearances don't make the class much more powerful. The AC bonus is nice at low levels, as is the ability to use 1D6 damage weapons in melee or at range, but a magic user with a 16 dexterity will likewise have a better AC and be able to hit more effectively with a thrown dagger (if not a crossbow). If anything I believe that the additional skills and flavoring will encourage risking daring acts on the part of illusionists such as a willingness to try melee (and still likely die horribly). attempt back-stab attacks (often a very bad idea against either strong or numerous enemies) and pick pockets because it's thematic and such a rarely used skill. This is very cool! I was looking to integrate something like a hobo sorcerer to my game and I believe this is the way to do it! I think you need at least 3 or for special "hobo" rekins oe new spells? "Summon Ghost Train" "Induce Ravenous Hunger?" "Goonie Stick (Shalliegh)" Trey at Sorcerer's Skull has hobo druids in his 1930's setting, which is pretty cool.